Are you looking for control, productivity, availability, and cost effectiveness? Consider a Net Lease on a DCLI Chassis. When you net lease a chassis from DCLI, your equipment will be on hand, where and when you need it, with no worries about where you'll secure the wheels for your next dray. And, because you maintain and repair the equipment that you're leasing, you'll get a lower daily rate on your lease than with a full service lease. 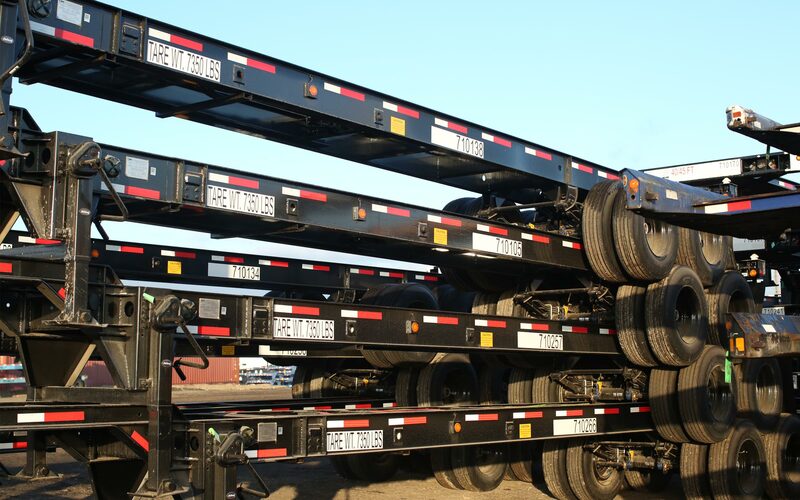 We can configure the chassis you lease with the options and additional equipment that you want.